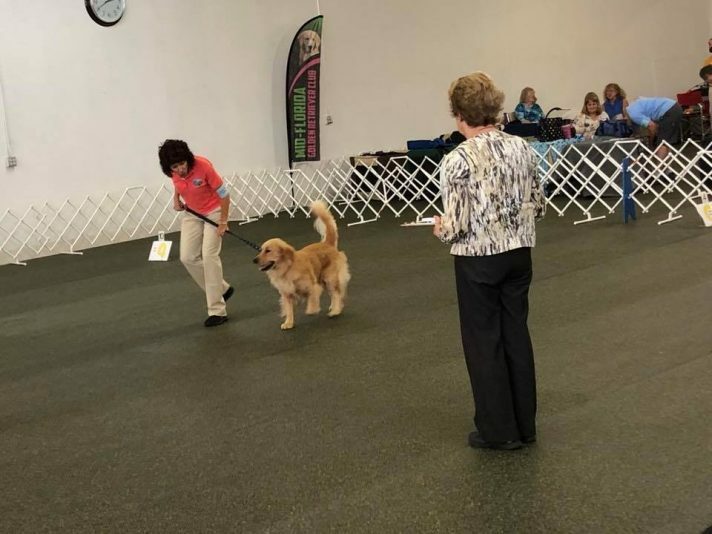 The entry premium is now available for the Mid Florida Golden Retriever Club’s annual Obedience and Rally trial, which will be held August 12-13 at the Obedience Club of Daytona in Daytona Beach, Fla. Judges will be Harold Doan, Rose Doan and Jerry Iermiero. The location of the trial is indoors and is air-conditioned. Entries close on July 26. 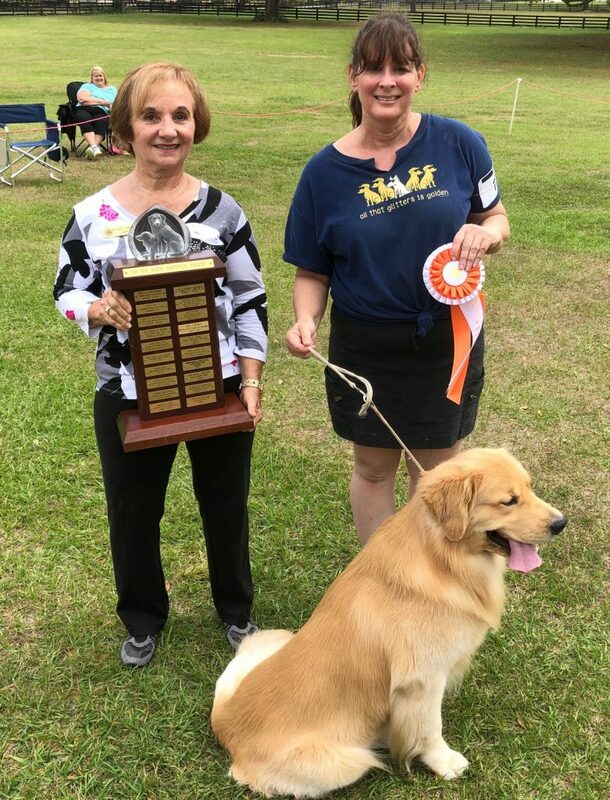 Best in Show for Conformation at the MFGRC Fun Match today in Sorrento, Fla., was won by Austin (Jazzie Magik’s Hook ‘Em Horns) owned and shown by Ann Rowe. Judge Ellen Bartkus is on the right. 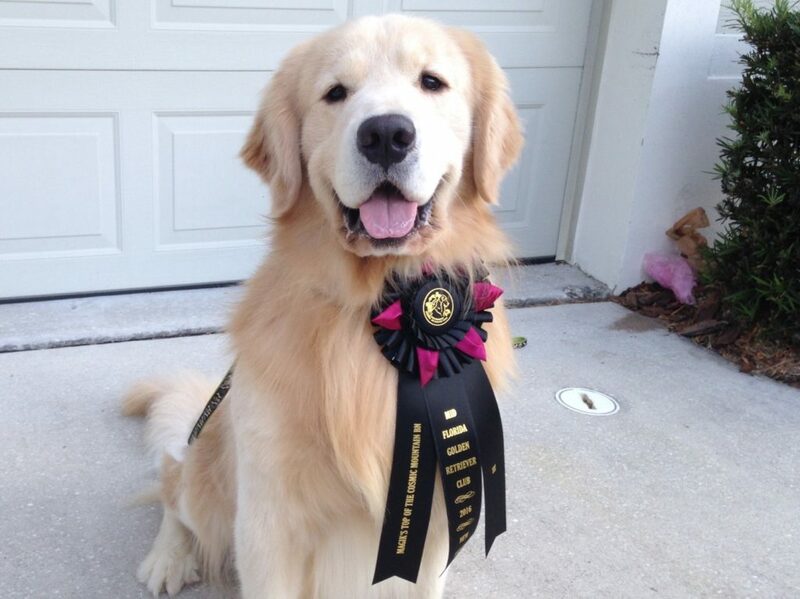 First Place: Portdown Nucky Cubby Bear Adams (Australian Cattle Dog); owner Jeanne Adams, Eustis, Fla.
Second Place: Remington (Golden Retriever); owner Carolee Stewart, Eustis, Fla.
First Place: Remington (Golden Retriever); owner Carolee Stewart, Eustis, Fla.
First Place: Abby (Labrador Retriever); owner Allison Long, Sorrento, Fla.
Second Place: Magik’s Top of the Line (Golden Retriever); owner Ann Rowe, Sorrento, Fla.
Third Place: Hibner’s Dixie (All-American); owner Marilee Hibner, Mount Dora, Fla.
Fourth Place: Emma (Golden Retriever); owner Barbara Anderson, Winter Park, Fla.
First Place: Moonstruck’s Olympic 24K Gold (Golden Retriever); owner Sharon Stark, Dunnellon, Fla.
First Place: Magik’s Emerald Belle of the Ball (Golden Retriever); owner Michele Throm, Casselberry, Fla.
First Place: Tat (Golden Retriever); owner Paula Black, Sorrento, Fla.
Second Place: Katie (Golden Retriever); owner Connie Adams, Dunnellon, Fla.
Moonstruck’s Olympic 24K Gold (Golden Retriever); owner Sharon Stark, Dunnellon, Fla.
First Place: Faragold Sandpiper StarLight StarBright; owner Lisa Boudreau, St. Petersburg, Fla.
First Place: Magik Drop It Like It’s Hot; owner Robin Senderowitz, Maitland, Fla.
Second Place: Magik King of the Storm; owner Christian Moye, St. Cloud, Fla.
Third Place: Tucker; owner Lori Zabroki. Fourth Place: Magik Storm Surfer; owner Jessica Regan, Melbourne Beach, Fla.
First Place: Magilk in Hot Pursuit; owner Ann Rowe, Sorrento, Fla.
Second Place: Magik Dark and Story; owner Andrea Donohue, Windermere, Fla.
First Place: Jazzie Magik’s Hook ‘Em Horns; owner Ann Rowe, Sorrento, Fla.
Second Place: Magik’s Frozen Tankard; owner Andrea Donohue, Windermere, Fla.
Third Place: Magik Top of the Cosmic Mountain; owner Barbara Hall, Port Orange, Fla.
First Place: Living Waters Bringer of Hope; owner Yvette Rivera, Saint Cloud, Fla.
Second Place: Deauxquest Lets Talk About Love; owner Lisa Boudreau, St. Petersburg, Fla.
Third Place: Magik’s Emerald Belle of the Ball; owner Michele Throm, Casselberry, Fla.
Fourth Place: Ivory Blaze Twice As Nice; owner Robin Limeaux, Orlando, Fla.
First Place: Magik Storm Surfer; owner Jessica Regan; junior handler Isabelle Regan. 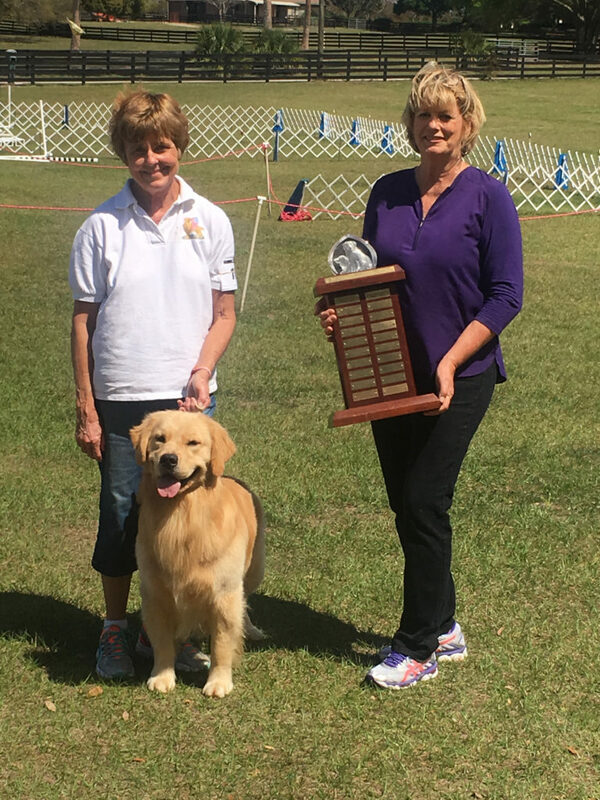 Faragold Sandpiper StarLight StarBright; owner Lisa Boudreau, St. Petersburg, Fla.
Moonlight Magik No Ducks Left Behind; owner Debbie Finch, Saint Cloud, Fla.
Jazzie Magik’s Hook ‘Em Horns; owner Ann Rowe, Sorrento, Fla.